Jordan Brand is expected to make waves once again with another surprising treat that has recently surfaced. JB will be releasing the Air Jordan Retro in White/Black-Varsity Red colourway, which will be known as the “Chicago” colourway of the shoe. 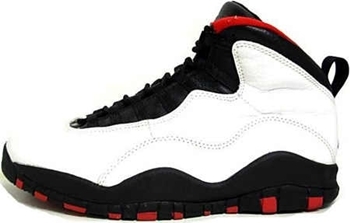 This model is expected to be a hit for it will be the first retro edition of the Air Jordan 10. Expect this shoe to come out late this year or early next year. Make sure to start saving money for it!